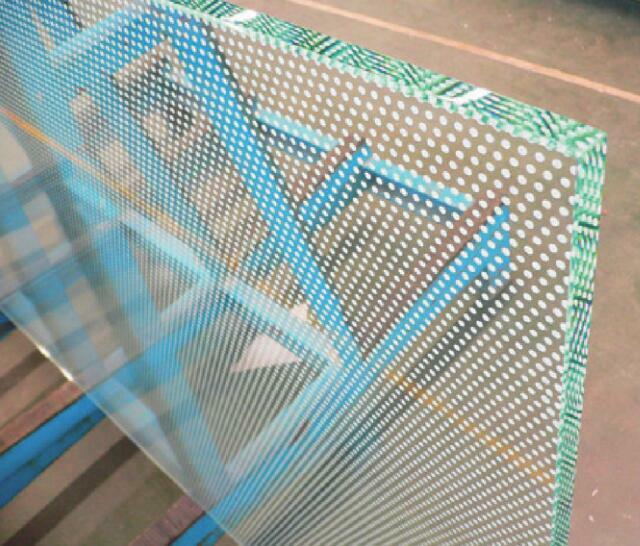 The printed surface may be on either surface for planar color enameled toughened & Heat Strengthen glass. For curved color,enameled toughened & Heat Strengthen Glass, the color-enameled surface can only be on its intrados. A) Painted glass, which is also named lacquered glass, painting glass or spandrel glass, is made by the top quality clear float or ultra clear float glass, through depositing a highly durable and resistant lacquer onto the flat and smooth surface of the glass, then by carefully baking into the furnace which is constant temperature, permanently bonding the lacquer onto the glass. Lacquered Glass has all the features of the original float glass, but also supplies wonderful opaque and colorful decorative application. B) Painted Glass is made through painting different color of enamel on the whole glass surface by roller printing machine. The painted surface is smooth, even, easy cleaning. Our painted glass is painted by the Water Based Paint, which is far superior to the traditional Oil Based Paint. It could keep color and last forever. Acid resistance: painted glass will not be eroded by PH. This is common decorative glass can not reach. Mainly used in interior walls, wall decoration, furniture and glass table etc. Size : 1830*2440mm, 3300*2134mm, 3300*2250mm, 3660*2140mm etc. 6.Edges: Flat, pencil, beveled, polished D, C etc. The toughening process of color enameled toughened & HeatStreng then glass is similar to the ordinary toughened & Heat Strengthen glass. There is no difference for toughened property between them. 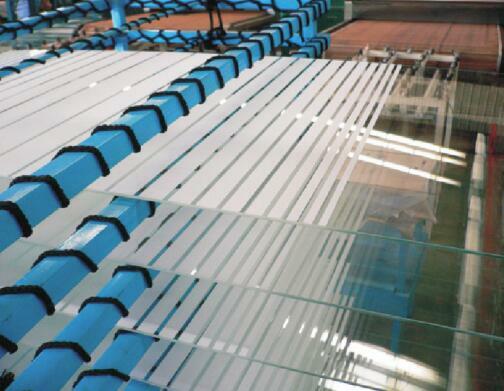 The toughness of color enameled toughened glass is four to five times stronger than the ordinary glass. With same thickness the toughness of the color enameled semi- toughened glass is about the one half of the toughened glass and 2 timesstronger than the ordinary one. When broken the color enameled toughened glass become tiny granular fragments with obtuse angle, which would do no serious harm to the human body. When the color enameled semi- toughened glass encountered the destructive forces and broke, the remnant stress will still remained in it fragments, makes it able to resist the recurring impact The color enameled toughened glass is thermal shock resistant as high as 220 ~250 variation of temperature difference and 130 ~170 for color enameled semi-toughened glass. No matter how in hot summer or in cold winter, no crevice or breakage will be occurred for the temperature difference between middle and edges of glass.